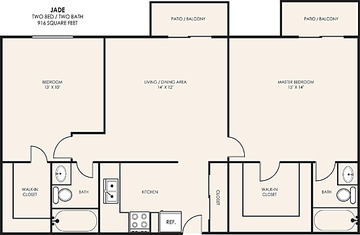 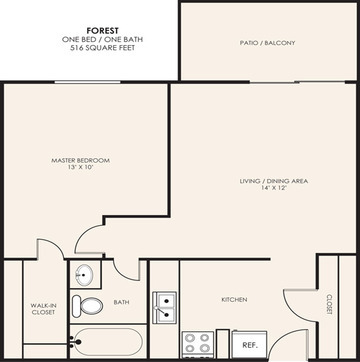 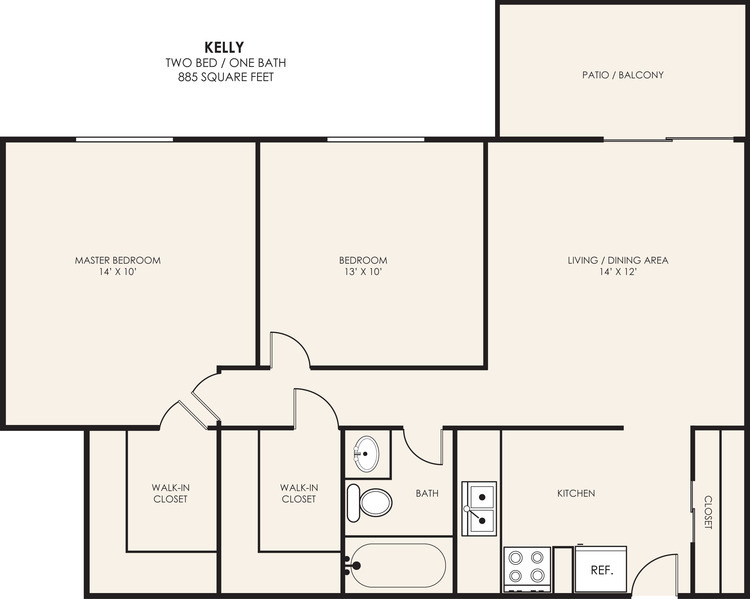 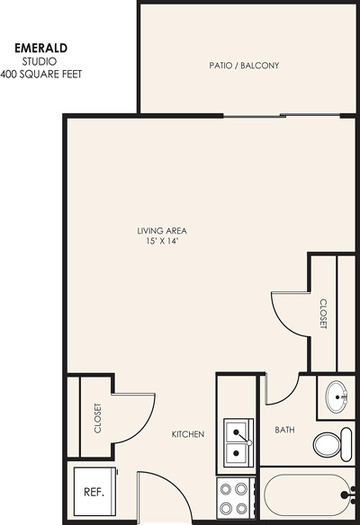 This two-bedroom floor plan home draws you in the moment you walk through the front door. 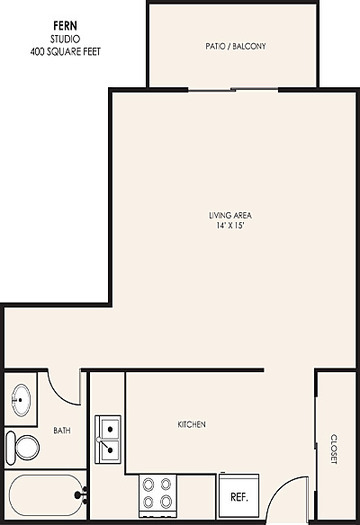 The combined living and dining area gives this apartment an open, yet cozy feel. 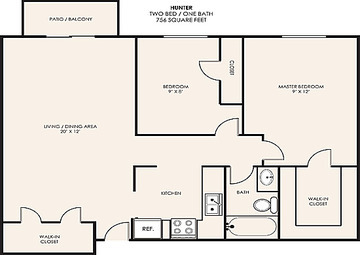 It features two large walk-in closets making it very popular with roommates.